When I first spoke with this awesome couple, they knew right away that they wanted a real show. Music was huge on their list of priorities, but they knew that complimented with lighting would really make their wedding stand out. 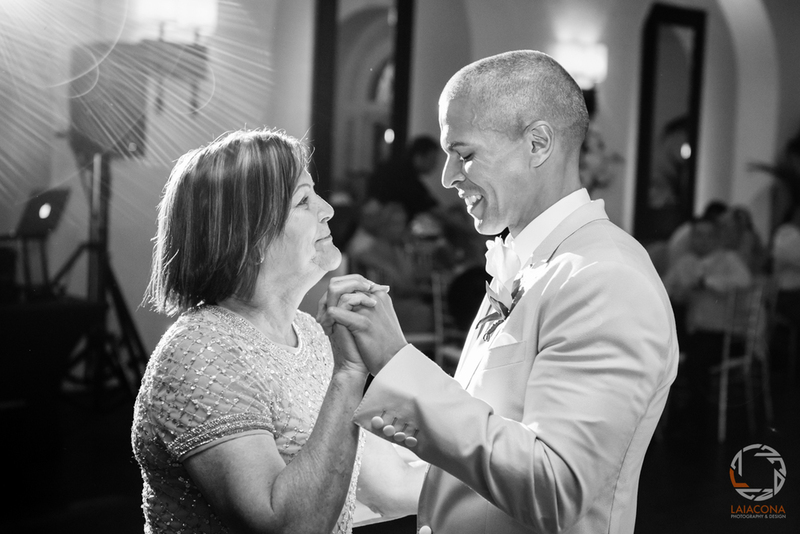 XO by Beyonce was their first dance song and very special to them. They wanted me to create a lighting show built around that song using red as the main color. What I was able to do was incorporate computer lighting software to achieve the most dramatic effects during that dance. 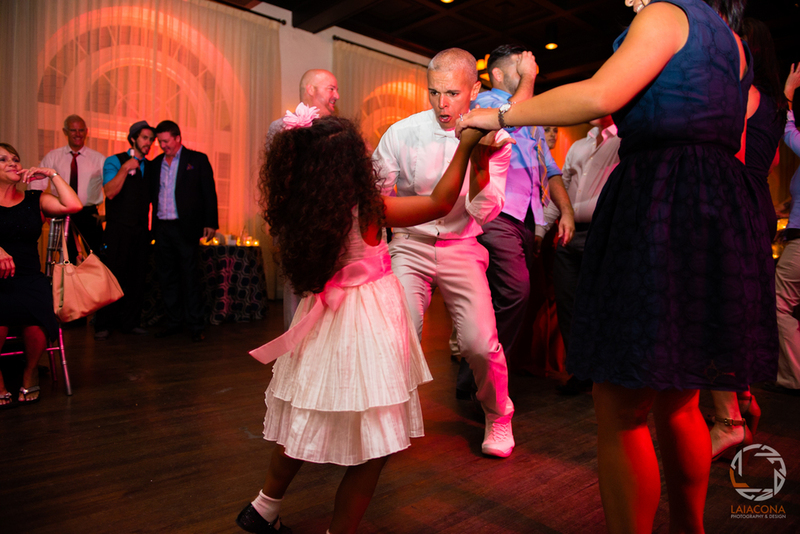 There were spot lights on them during certain moments, and then when they asked their loved ones to join them in the dance, I was able to create more lighting effects that made it seem like they were just as much a part of the moment. This is all done with the best computer programming to give you some amazing results. There is really no one else in Key West that does lighting like this. 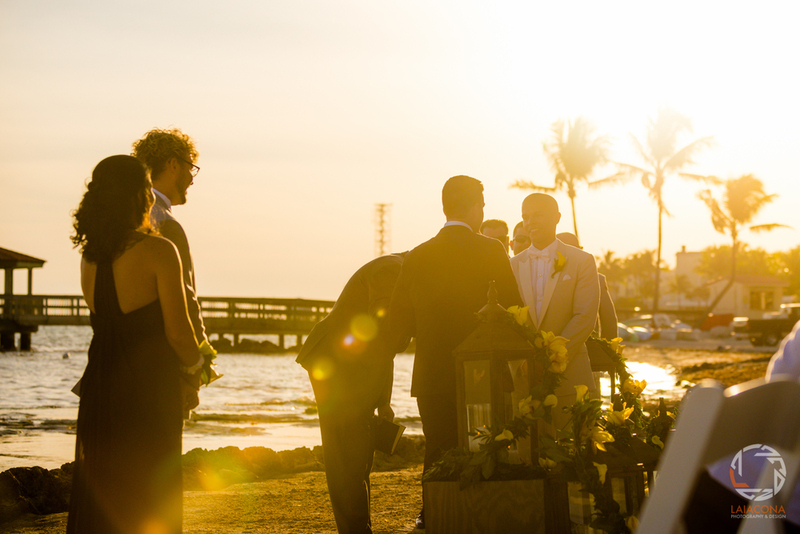 As a wedding DJ in Key West, I spend countless hours in my office organizing and learning new ways to give you the best night possible; DJ'ing is truly my passion. This wedding was just as exciting for me as it was for them, because they gave me their dream wedding details and let me run with it. They gave me a small playlist and asked me to just read the crowd and "do what you do". That liberty allowed me to pull out tracks that haven't been played in awhile, creating a dance floor that was packed and full of energy all night. Because I actively perform an artform known as beat-matching, it is important for me to be able to play to the crowd and mix my music to the same beat so that no one ever wants to leave the floor. I constantly bring the energy up and down, depending on the mood, so that everyone gets a chance to enjoy different styles of dancing. And they didn't stop with just the DJ and computerized light show. They also rented our photo booth, which was a HUGE hit as always. Great props, insanely fast printer, and studio-quality camera made all the goofiness look amazing. Everyone really just had an awesome time! Now for some vendor love. It really helps working with some of the most talented people on the island!